NEEDHAM, Mass. & MILWAUKEE --(BUSINESS WIRE)-- PTC Inc. (NASDAQ: PTC) and Rockwell Automation, Inc. (NYSE: ROK) today announced that they have entered into a definitive agreement for a strategic partnership that is expected to accelerate growth for both companies and enable them to be the partner of choice for customers around the world who want to transform their physical operations with digital technology. As part of the partnership, Rockwell Automation will make a $1 billion equity investment in PTC, and Rockwell Automation’s Chairman and CEO, Blake Moret , will join PTC’s board of directors effective with the closing of the equity transaction. The partnership leverages both companies’ resources, technologies, industry expertise, and market presence, and will include technical collaboration across the organizations as well as joint global go-to-market initiatives. 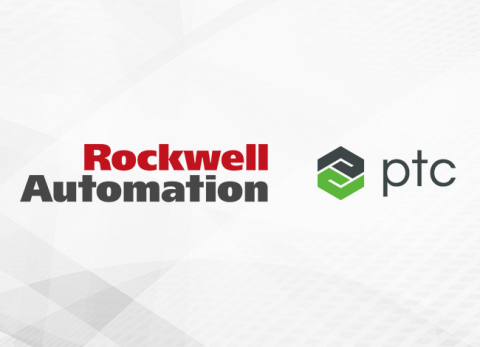 In particular, PTC and Rockwell Automation have agreed to align their respective smart factory technologies and combine PTC’s award-winning ThingWorx ® IoT, Kepware ® industrial connectivity, and Vuforia ® augmented reality (AR) platforms with Rockwell Automation’s best-in-class FactoryTalk ® MES, FactoryTalk Analytics, and Industrial Automation platforms. The result will be an unmatched integrated information solution that will enable customers to achieve increased productivity, heightened plant efficiency, reduced operational risk, and better system interoperability. Under the terms of the agreement relating to the equity investment, Rockwell Automation will make a $1 billion equity investment in PTC by acquiring 10,582,010 newly issued shares at a price of $94.50 , representing an approximate 8.4% ownership interest in PTC based on PTC’s current outstanding shares pro forma for the share issuance to Rockwell Automation . The price per share represents an 8.6% premium to PTC’s closing stock price on June 8, 2018 , the last trading day prior to today’s announcement. Rockwell Automation intends to fund the investment through a combination of cash on hand and commercial paper borrowings. Rockwell Automation will account for its ownership interest in PTC as an Available for Sale security, reported at fair value. As separately announced today, Rockwell Automation is increasing its share repurchase target for fiscal year 2018 to $1.5 billion . This represents a $300 million increase to its previous plans to repurchase $1.2 billion of its stock in fiscal year 2018. The investment transaction is subject to customary closing conditions and regulatory approvals, and is expected to close within 60 days. Morgan Stanley & Co. LLC is serving as financial advisor and Goodwin Procter LLP is legal advisor to PTC. Goldman Sachs & Co. LLC is serving as financial advisor and Foley & Lardner LLP is legal advisor to Rockwell Automation . On June 11 , Rockwell Automation and PTC will showcase their complementary technology and solutions at Rockwell Automation’s TechED, the industry’s premier training and education event to help improve machine performance, optimize plants, and empower a Connected Enterprise. To watch a livestream of the event, please visit the TechEd site . The livestream will occur at 8:00 am PDT / 11:00 am EDT . On June 18 , PTC and Rockwell Automation will again showcase their complementary technology and solutions at LiveWorx ® 2018 , the world’s leading digital transformation conference for the enterprise. To register, please visit the LiveWorx Registration page. PTC, ThingWorx, Kepware, Vuforia, LiveWorx, and the PTC logo are trademarks or registered trademarks of PTC Inc. or its subsidiaries in the United States and in other countries. Rockwell Automation, Inc. , the world’s largest company dedicated to industrial automation and information, makes its customers more productive and the world more sustainable. Headquartered in Milwaukee, Wis. , Rockwell Automation employs approximately 22,000 people serving customers in more than 80 countries. This news release contains statements about future growth and growth acceleration, business performance, the integration and development of solutions, the closing of the equity transaction and the use of proceeds and share repurchases. These statements are “forward-looking statements” as defined in the Private Securities Litigation Reform Act of 1995. Words such as “believe”, “estimate”, “project”, “plan”, “expect”, “anticipate”, “will”, “intend” and other similar expressions may identify forward-looking statements. Actual results may differ materially from those projected as a result of certain risks and uncertainties, including the fact that growth may not occur or accelerate as expected, subscription may not grow profitably as expected, the equity investment may not close when or as expected and any use of proceeds or share repurchases may not occur as expected, and the integration of the solutions and development of future solutions may not occur as expected, and those risks and uncertainties described in the companies’ filings with U.S. Securities and Exchange Commission . These forward-looking statements reflect our beliefs as of the date of filing this release. We undertake no obligation to update or revise any forward-looking statement, whether as a result of new information, future events or otherwise. Source: PTC Inc. and Rockwell Automation, Inc.